Conveniently located in Beijing's most popular commercial area, Courtyard View Hotel is only a short walk to the subway. Within walking distance are Lama Temple, Confucius Temple, Houhai lake area. The hotel is surrounded by plenty of restaurants offering a wide range of superior cuisine. 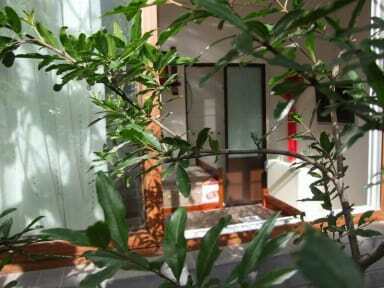 Step into Courtyard View Hotel and experience peace and quiet amid the busy city. 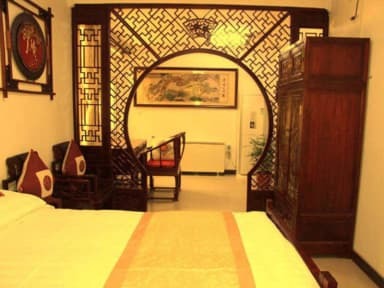 Furnished with antique furniture, wooden docor and ancient Chinese art, the cosy courtyard hotel is rich with the beauty of old Beijing. In your free time, relax under the vine or enjoy a quiet moment by the rockeries and ponds.